Modern style wreath ring using a series of block colours - pastel or vibrant. Designed using florist choice of seasonal flowers in the chosen colour palette. We usually need 3-5 days notice for funeral tributes - please call Deborah for any special requests - 01646 200 225. 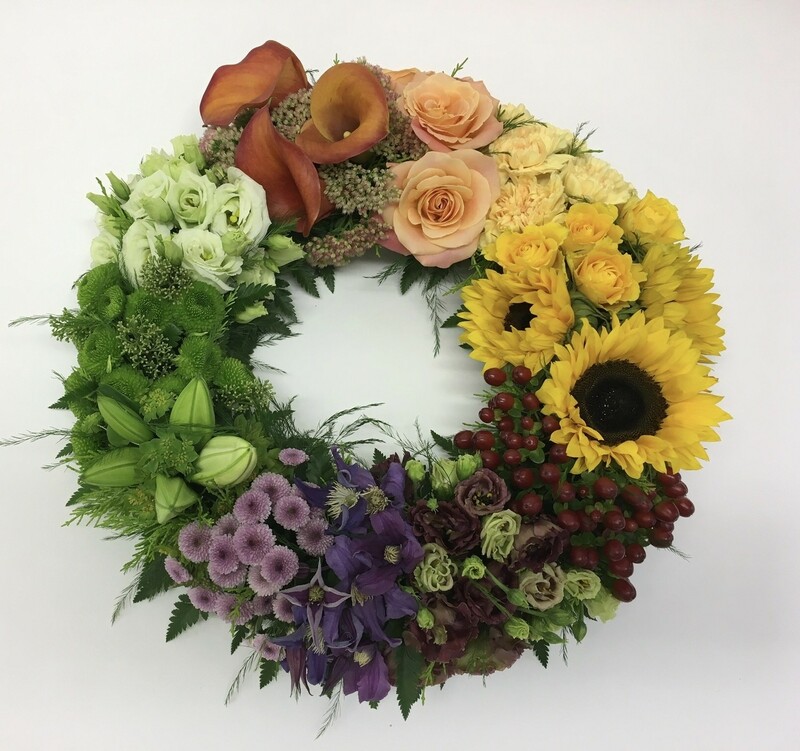 The photo may not be an exact representation of the flowers chosen by the florist to create the tribute – we ensure all flowers will be of equal quality and value, maintaining the beautiful style of the arrangement.